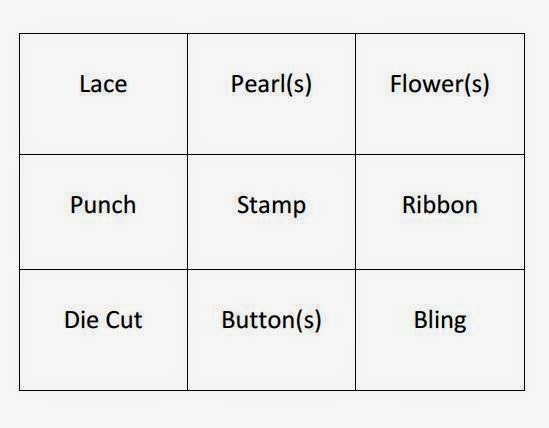 It's time for a new challenge @ Inky Impressions & our theme this week is BINGO!!! 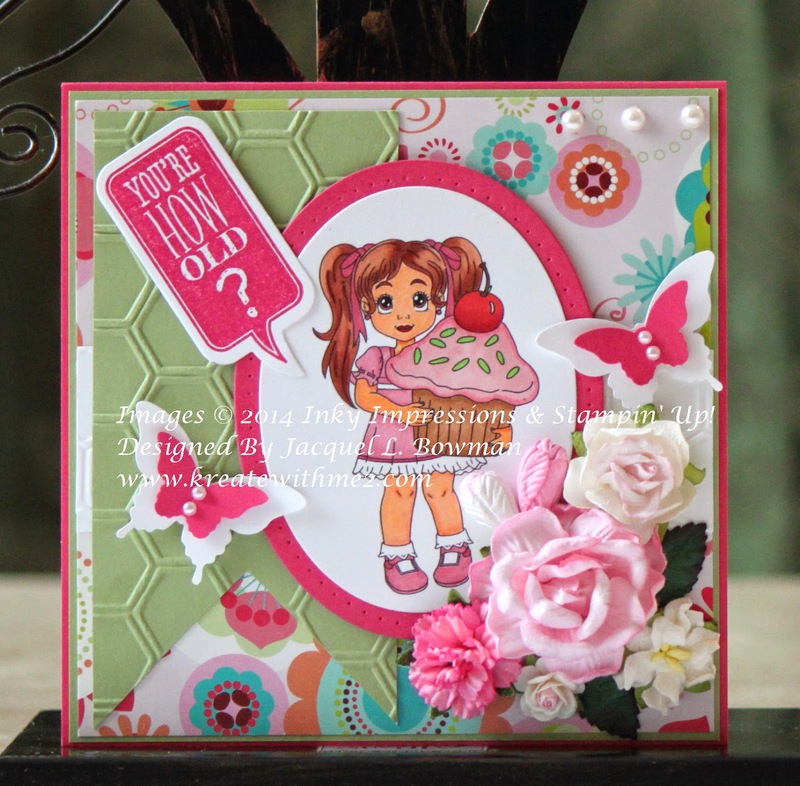 We want to see your beautiful creations using the above board....I went with Die Cut, Stamp & Flowers for my card along with the ever so cute Cupcake LiLi!! I must say that I'm extremely pleased with the final look especially those flowers...GORGEOUS!!!!! My teammates also created some pretty works of art so check out our blog to see what they made & while you're there; read up on our rules so you can play along with us! I'm looking forward to seeing what you all come up with! Have fun & happy stamping everyone!!!!!! Papertake Weekly ~ Ohhh So Cute! Squeeeee! I LOVE this image. I have to have this one. I've nicknamed my youngest granddaughter 'Cupcake' and I know when she hit's 5 (only 2 years away) it's going to be so hard to believe she's ready for Kindergarten. LOL Love the colors you chose. Always so bright and inspiring. Creative Blessings & Hugs! Beautiful birthday card! I love all the bright colours, the flowers, the bling, the embossing - just fantastic! Oh my gosh, this is so adorable! I love the colors and the cute factor is way off the chart. How joyful! This is just as cheerful and happy as can be, and beautiful! what a cute image for a little girl! The colors are so playful! Thanks for joining in the Anniversary/Birthday challenge at Shopping our Stash this week! Love all the embossed background on the flags on your card...and cute image too!